PARIS — The French government provided a financing structure that was crucial to the sale of a sophisticated multimission frigate to Egypt, a source close to the deal said. "Without the financing structure there would not have been the contract," the source said. Cairo signed the contract on Feb. 16 with DCNS for the frigate, part of the €5.2 billion ($5.9 billion) French arms package comprising 24 Dassault Rafale fighter jets and short- and medium-range missiles. There is a lack of official information on the prices. But the amount for the frigate for Egypt is based on a price of some €800 million per ship that France will pay for its order for eight of the new warships, the source said. That figure does not include maintenance. The price of the multimission frigate, dubbed Frégate Multimission, has risen as the orders fell from an initial 17 to 11 and now eight FREMMS, with a prospective order for three intermediate frigates. Egypt is due to pay for the frigate in full rather than by installments when the ship is handed over in time for the August opening of a waterway on the Suez canal. Payment of a deposit and installments is the method used when the ship is being built, but the frigate is already ready for delivery. Egypt bought four DCNS Gowind corvettes last summer for some €1 billion and talks continue for the two additional ships under option. That deal is seen by some as key for the larger order just placed and which includes the first export order for the Rafale. 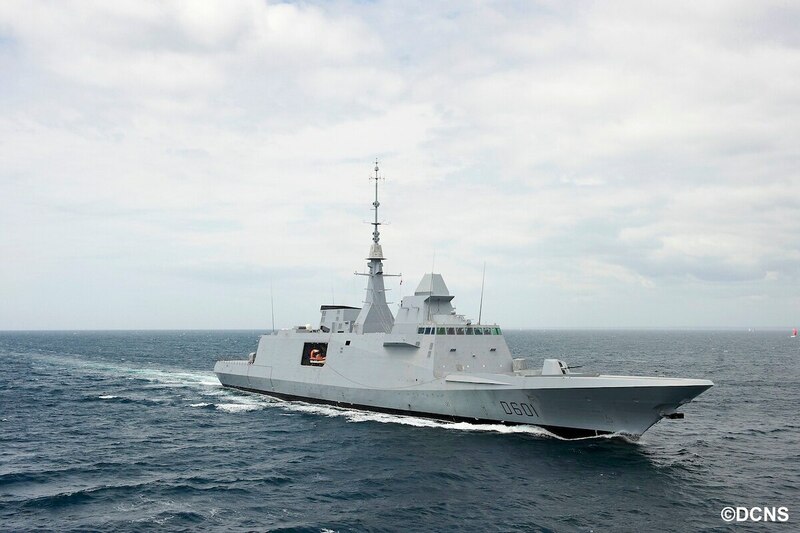 Morocco, a former French protectorate, is the only other export customer for the FREMM. That purchase, which was at a low price, was effectively a goodwill gesture as Rabat had ordered the Lockheed Martin F-16. In export markets, DCNS has sold the Lafayette light frigate to Taiwan, Singapore and Saudi Arabia, but the FREMM is seen as too sophisticated and too expensive for most foreign buyers. In export tenders, FREMM is at the "high end," just below the Americans, the source said. Thales plays a big role in DCNS' export wins as the electronics company supplies radar, sonar and communications that rivals competing bids. Foreign clients already know which combat system, missile, sonar and radar is to be fitted but they are agnostic about the ship. That competition for the vessel leads to pressure to cut the profit margin and bank on a long-term relationship. DCNS set up in 2013 the Kership joint venture with shipbuilder Piriou to build a simpler 75-meter ship that would be affordable for more countries. The strategy is that navies will start simple but stay with the same shipmaker as ambitions and skill grow for a more capable vessel. Cultivating that kind of naval loyalty is seen to be worth cutting the sale price and accepting a lower profit. Regarding armaments, Europe is split into two camps: Dutch, German and Spanish naval shipbuilders solely offer US surface-to-air missiles, while the others fit European MBDA weapons. DCNS fits French MBDA missiles, while Italy offers, at least on paper, both US and European weapons, the source said. DCNS seeks to boost exports to two-thirds from the current one-third of annual sales in five years. That drive to "internationalize" the company will require technology transfer and local production. Australia, Brazil and India are seen as potential partners in that "multidomestic" approach, a policy set by Thales' former Chairman Denis Ranque. In export markets, China has become highly active, offering small ships at half the price and backed by state financing. As the European naval market is shrinking and the domestic industrial base protected, the sales focus is fixed on India, Southeast Asia and Latin America.